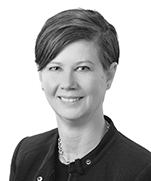 Stephanie joined Dentons Canada LLP in 1999, and is a partner of the Corporate, Securities, and Mergers and Acquisitions group in the Calgary office. Stephanie has a depth of experience in syndicated lending transactions and public debt, both domestic and cross-border, and has significant commercial law experience as external counsel on behalf of national and international corporate clients. She regularly advises clients in the areas of equipment financing, debt and corporate restructurings, private mergers and acquisitions, corporate governance, public debt offerings and project financing. She has experience in advising senior management and business clients on matters pertaining to commercial and financial transactions and contracts, legal risk management, and corporate governance and compliance. She has acted for institutional, mid-size and multi-national clients in connection with financing and commercial transactions in various industries, with particular focus on the energy sector and commercial real estate. ACCEL Energy Limited: Assisting this sustainability-focused energy company with the financing of its acquisition of the Swan Hills assets from Pengrowth Energy Corporation. Shaw Communications Inc.: Assisting with the completion of its sale of its wholly-owned subsidiary, ViaWest, Inc. (“ViaWest”) to GI Partners portfolio company Peak 10 Holding Corporation for US$1.675 billion, and the unwind of the acquisition structure associated with the original ViaWest investment and subsequent INetU acquisition. ACCEL Energy Limited: Assisting this sustainability-focused energy company with the financing of its acquisition of the Judy Creek assets from Pengrowth Energy Corporation. Confidential Client: Advising in various tax structured acquisitions of shares. Corus Entertainment Inc.: Advising on the financing arrangements for its CA$2.65 billion acquisition of Shaw Media Inc. and the redemption of its existing senior unsecured notes, including a CA$2.3 billion syndicated term loan and a CA$300 million revolving credit facility. Binder Capital Corporation / Avmax Holdings Inc.: Advising this Calgary-based international aviation product and service company in respect of its sale of Avmax Group Inc. to Sunward Intelligent Equipment, a Shenzhen-listed Chinese construction equipment manufacturer. The transaction value has not been disclosed; however, Sunward has publicly announced that they will be raising CNY 2.2 billion (US$347.24 million) to fund the acquisition. 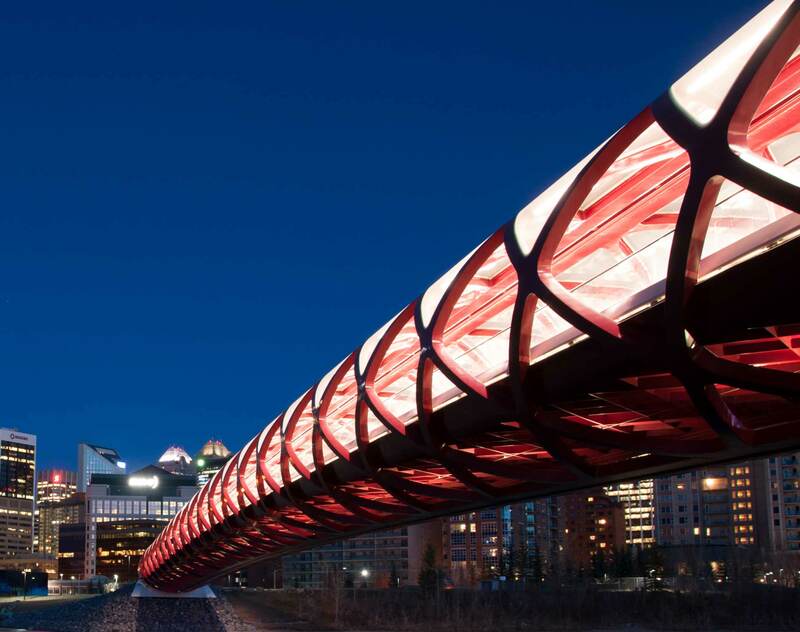 Canadian Chartered Bank: Advising the bank as lender and administrative agent for the lenders, on a CA$231 million syndicated credit facility to finance the construction of a mixed use retail and office tower in Alberta. Crest Energy International LLC: Advising in connection with the debt financing and acquisition of WesternZagros Resources Ltd. (having oil and gas assets in the Kurdistan Region of Iraq) by way of statutory plan of arrangement. Shaw Communications Inc.: Advising this leading Canadian telecommunications provider on a US$480 million cross-border credit facility comprised of a US$395 million term loan and US$85 million revolving credit facility for ViaWest, Inc., Shaw's wholly-owned US provider of colocation, cloud, and managed services in North America. Shaw Communications: Advising the establishment on its CA$1 billion senior syndicated credit facility. Confidential client: Counseling to a leading energy and infrastructure services provider in connection with the restructuring of its US$850 million syndicated credit facility. Joint lead arrangers on the deal were UBS Securities LLC, Morgan Stanley Senior Funding, Inc. and Goldman Sachs Lending Partners LLC. Enbridge Southern Lights LP and Enbridge Pipelines (Southern Lights) L.L.C. : Advising on the concurrent private placements of senior unsecured notes for a combined CA$1.5 billion refinancing in connection with the Southern Lights Pipeline Project. Awarded North American Project Bond Deal of the Year 2014, IJGlobal Americas Awards. Shaw Communications Inc.: Advising on its public offering of CA$800 million aggregate principal amount of senior unsecured notes issued in two tranches: a CA$500 million aggregate principal amount of 4.35% senior notes, and a CA$300 million aggregate principal amount of floating rate senior notes. Oldman 2 Wind Farm Limited: Advising this indirect wholly owned subsidiary of Mainstream Renewable Power Limited, on their CA$75 million project construction credit facility for the construction of a wind energy facility consisting of 20 individual wind units located in southern Alberta, Canada with a nameplate capacity of 46 megawatt (MW).